Your squash bag is an essential part of your squash equipment. It not only transports your gear but also protects your valuable squash rackets. Many squash bags are equipped with a thermal lining that guarantees optimal protection for your rackets under all weather conditions. Both very high and very low temperatures have a negative influence on the strings and that is why it is important to make sure your rackets are well protected. Many squash bags in our collection have all kinds of handy features, such as an integrated shoe compartment where you can also store your dirty clothing after the game. The separate storage space for your sweaty shoes and sportswear together with a good ventilation system in the squash bag will prevent your bag from stinking. 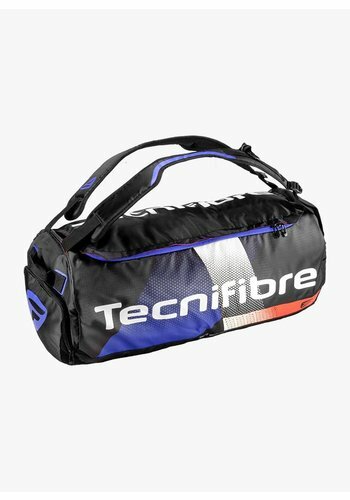 Almost all our squash bags have a separate compartment for accessories such as squash grips and wristbands. Most bags also have a special pocket for valuables such as your phone, keys and wallet. The racket bags have different carrying systems. There are bags with one shoulder strap as well as two shoulder straps which allow you to comfortably carry the bag as a backpack. Especially players who go to the squash club by bicycle or public transport might prefer the double strap system. Whether the shoulder straps have a lining or not affects the carrying comfort. All bags have a separate handle with which you can easily lift the bag. Due to the wide range of different bags, it might be difficult to make a choice. It is advisable to consider a number of factors such as the size of the bag and the number of rackets and other items you want to take with you. Also, how often you play and whether you play tournaments are other points to take into account. Naturally, the needs of a recreational player who trains once a week are different from the needs of a competition player who uses the bag basically every day and takes it along to tournaments. If you already have certain criteria your bag should meet, you can use the filters on our website and search by brand, type of bag and size, number of main compartments, colour and price. We have divided the squash bags into small racket bags (suitable for 3 rackets), medium-size racket bags (for 6, 8 and 9 rackets) and large racket bags (for 10, 12 and 15 rackets). Backpacks form their own category. Naturally, the brand and colour of the bag is a personal choice. Many players like to have both the bag and the rackets by the same brand. Some brands have divided their squash bags into different collections or lines. For example, Dunlop has the Club, the Tour and the Performance lines. With Head you can choose from the Elite, Tour Team, Radical, MXG and Djokovic bag collections. Tecnifibre, for its part, has designed the Squash Green and the Air Endurance collections. 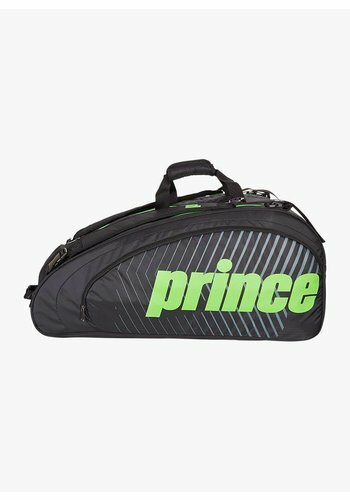 Wilson and Prince have succeeded in manufacturing simple as well as luxurious bags to meet the needs of all types of players. 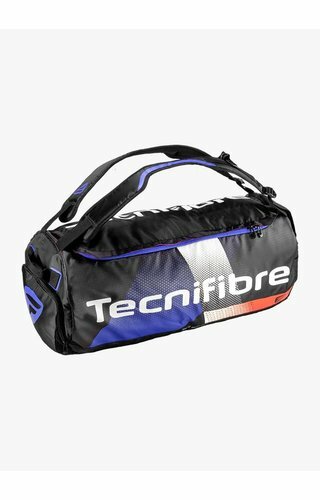 All squash bags by Tecnifibre are especially designed for squash and some come with special features such as extra pockets that exactly fit squash balls and squash goggles. The squash bags of other brands are also suitable for tennis and badminton. We have a large collection of bags for all tastes and needs. All our squash bags are available directly and can always be dispatched quickly. If you are looking for a squash bag that we do not have in our collection, please contact us and we will do our best to order it for you. Buying a squash bag at Squashpoint is completely safe. If the bag does not meet your expectations, you can return it and the cost of the bag will immediately be refunded to your account. Robust backpack with a stylish design. A racket bag for the most demanding player. A modern and sturdy bag with plenty of storage space. Ideal for recreational players looking to travel light. Functional backpack with many separate compartments. 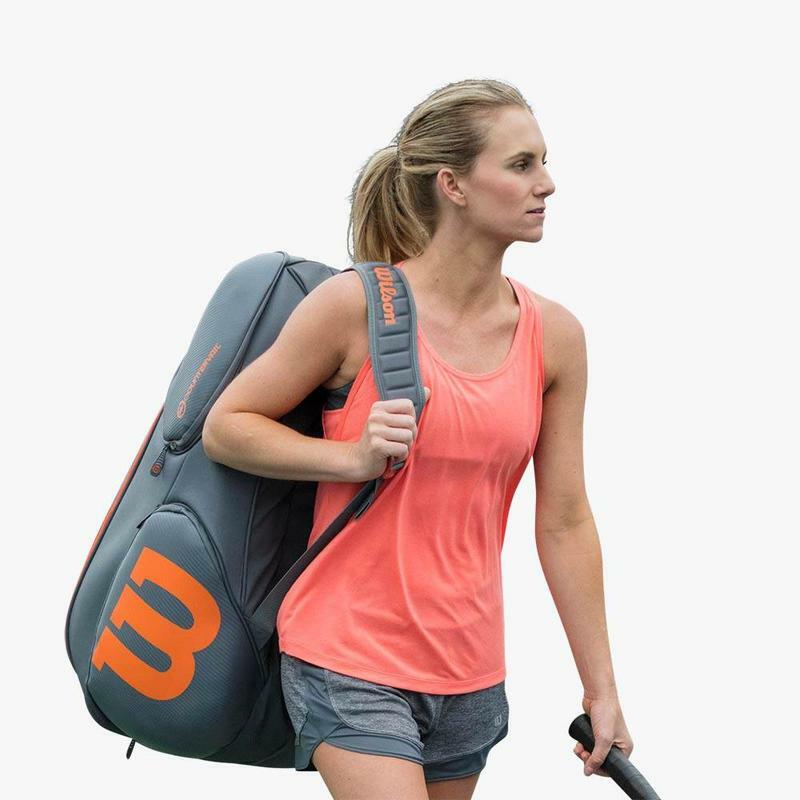 Very spacious racket bag that you can carry as a backpack and as a shoulder bag.